What's inside: a fantastic neighborhood scavenger hunt printable to encourage kids to get outside and get active! It's still snowy in Minnesota, but little signs of spring are slowly appearing! It's the perfect time to come up with new outdoor activities, like a free printable neighborhood scavenger hunt. With simple pictures and printed words, it's easy enough for a toddler but fun for all ages! 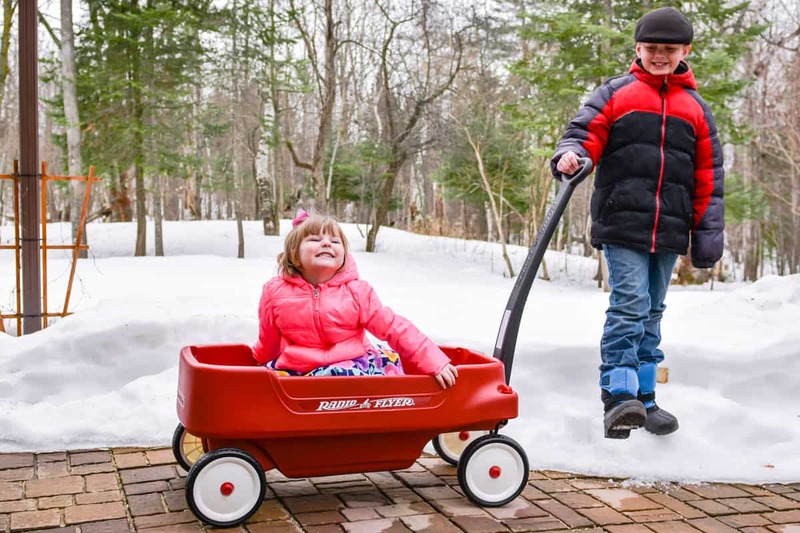 As the weather gets warmer, we're even more ready to celebrate National Little Red Wagon Day on March 27th! Get outside with your kids and take advantage of Radio Flyer's one-day only discount to get your new ride for the summer at a great price. Why? Because #TimeFliesEnjoyTheRide. 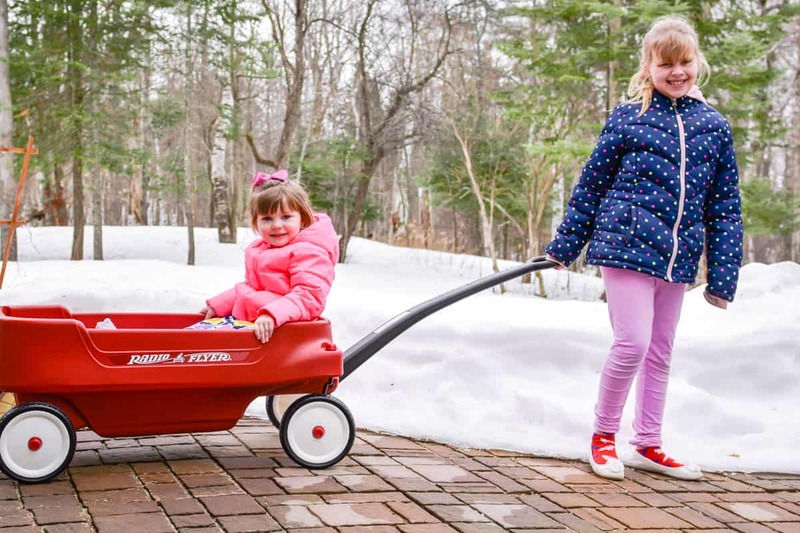 There are few things as universally fun and useful to little kids as a wagon, and there's not a wagon brand as memorable and as timeless as Radio Flyer. So when Radio Flyer reached out to partner with me for National Little Red Wagon Day, I didn't hesitate to say yes! 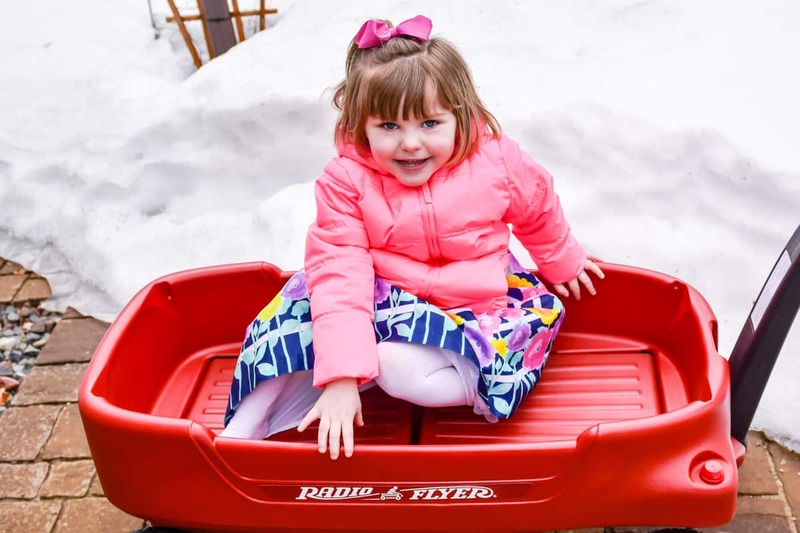 While Haiden and Piper still have their own Radio Flyer wagon, I knew my sister would love to have the Radio Flyer Pathfinder Wagon for my four year old niece. Even better, my sister and her husband have fostered several babies and toddlers over the past few years, and they'll likely continue to do it. 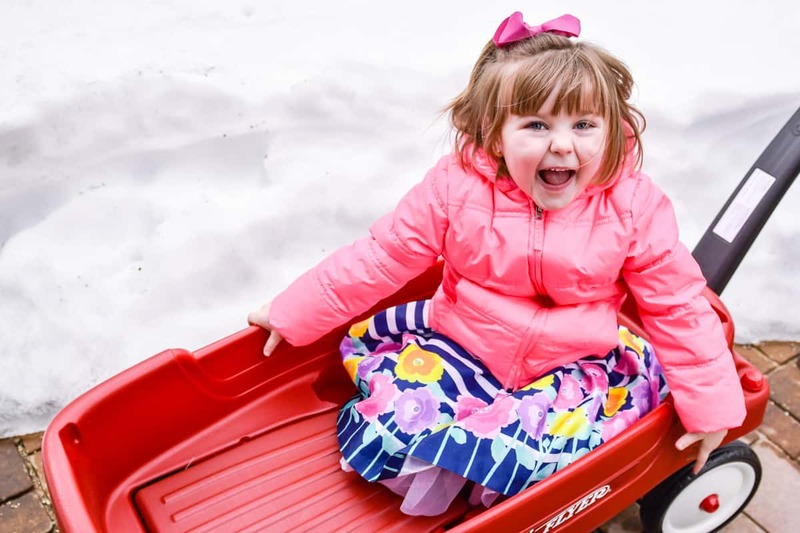 Wagon rides are a fun activity for pretty much every toddler, so it's really great to know that this wagon will be put to good use far into the future. While spring may be out in full force in other parts of the country, March in Minnesota usually means there's still snow on the ground and boots on our feet. But that doesn't stop anyone in our family from getting outside! 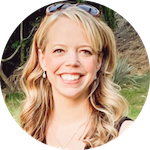 I created a neighborhood scavenger hunt that my kids could have fun doing with their cousin. I love that, even though there's a significant age gap between the cousins they all enjoyed hunting for the items together. It also warmed my heart that Haiden and Piper let my niece find just about every item in the neighborhood scavenger hunt. They definitely saw most things first, but they held back on announcing each of them so the littler one could participate. The very best part, though, was watching my kids pull that adorable red wagon while their cousin bounced and giggled and just had the best time. I just know that these everyday experiences are the foundation to future fond memories and a lasting family bond. 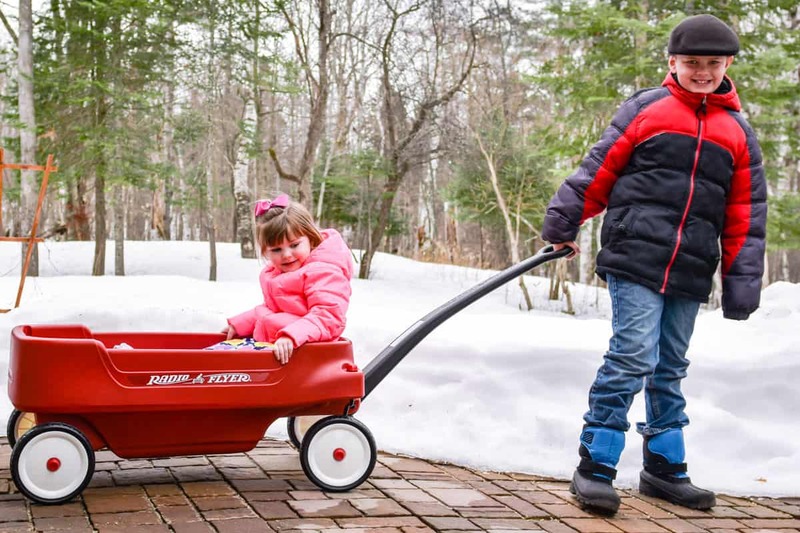 In honor of making memories and celebrating the power of imagination during National Little Red Wagon Day, RadioFlyer.com is featuring 30-50% off some of our favorite wagons. Models included in the promotion include the Town & Country, the All Terrain plus folding and Build-A-Wagons. Take advantage of the one-day only discount to get your new Radio Flyer wagon for summer! 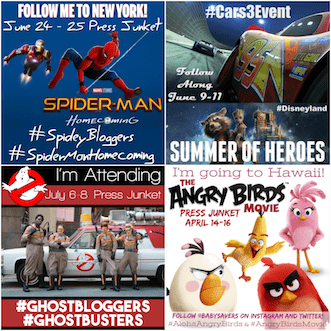 Download your own neighborhood scavenger hunt printable! Just enter your name and email address in the form below and it will be sent to you.